A complete overview of the most powerful techniques for improving mental clarity and finding clarity in life. Of all the resources that you rely on to navigate your life, the one you take most for granted is also the one you rely on the most. It’s your mind. Most people don’t think of their mind as a “resource”, but if you think about it for just a moment you’ll realize that it’s true. Your mind is your greatest asset, and it’s something that you rely on for just about everything you do. Where would you be without your intelligence, imagination and creativity? How would you survive without your memory, your intuition or your ability to reason? You rely on these mental faculties every day of your life, so where does that leave you if your mind is unclear? Improving mental clarity - Why? Where did my clarity go? When you are born into this world, you begin life with a mind that is pure and untouched, like a blank canvas waiting to be coloured by experiences. As time goes by, you gradually develop the mental capabilities that you require in order to live a normal life. You develop your intelligence, creativity and memory, but at the same time you also accumulate a great deal of mental junk. You may find yourself bound by more and more responsibilities. You accumulate memories, good and bad. You are bombarded with information via television and radio, and you are surrounded by the noise of industry and the hustle bustle of modern life. Is it any wonder that your mental clarity suffers? Without mental clarity, it’s easy to become stressed and confused, to lose touch with your purpose in life, and to become unhealthy or exhausted. Most of us really never stop to question the way we live our lives. We just accept all the noise and drama and forget about the simple joy of living in the moment, freely, as we did when we were children. So how do you reclaim clarity? How do you reclaim the simple inner peace that you had when you were young? How do you wipe the canvas of your mind clean without losing all the powerful mental faculties that you have developed throughout your life? There are a number of things you can do to gain mental clarity, but the first recommendation I’ll make is that you learn how to meditate. Through meditation you will quickly learn to achieve mental stillness, and you’ll learn how to concentrate. Can you think of a better method for improving mental clarity than taking command of you own mind in this way? The practice of meditation not only clears away all of the repetitive thinking that circulates in your mind, it also strengthens your ability to stay focussed and clear during your normal daily life. Meditation also stamps out the biggest enemy of a clear mind...stress. If you’ve never meditated before, then meditation might be a bit unfamiliar to you. Perhaps you think of meditation as something that is reserved for Eastern mystics or Tibetan monks. Nothing could be farther from the truth. Hundreds of millions of everyday people just like you use meditation to experience enhanced mental clarity and to improve their overall quality of life. Think of meditation as “taking your mind to the gymnasium”. In many respects, your mind is a muscle that you’ve never really trained. You’ve been feeding it information all your life, but like an untrained house pet, it has become unruly and undisciplined. If you’re not careful, it will make a real mess of things! Start by learning how to meditate. Explore this website and try meditation for yourself. I guarantee you that meditation is easier than you might think, and that the results you will experience, especially in the long term, will astound you. If you are new to meditation, I also recommend that you try listening to some music that has been created especially for meditation. 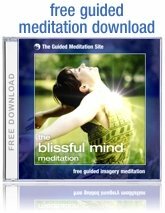 The meditation music on this website is much more than just relaxing music. 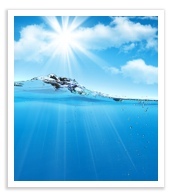 It has been composed using specific musical principles that encourage your mind to become still, clear and relaxed. I also recommend that you explore these articles on mindfulness, in which you'll find some very powerful tips for improving your ability to become clear, and stay clear. 1. Avoid taking drugs unless they are essential to your physical and/or mental health. 4. Eat a healthy, well balanced diet. 5. Make sure you get enough sleep each night. 6. Spend some time in nature, away from the calamity of city living. 7. Avoid stressful situations whenever practical. Even if you are only able to implement a few of these suggestions for improving mental clarity, you’ll still be taking very positive steps forward. When you reclaim your clarity of mind, you unleash all the mental faculties that you have developed during your life in a whole new way. It’s like cleaning the windscreen of your car for the first time. All of a sudden, you can see clearly, you can see where you are going, and life becomes more of a pleasure cruise than a foggy drive. And you know what? You don’t necessarily have to change what you are doing in your life in order to experience this renewal. You don’t have to change your occupation or relocate your life in order to experience dramatic, positive change. When you learn to meditate, the change takes place on the inside...within your mind itself.